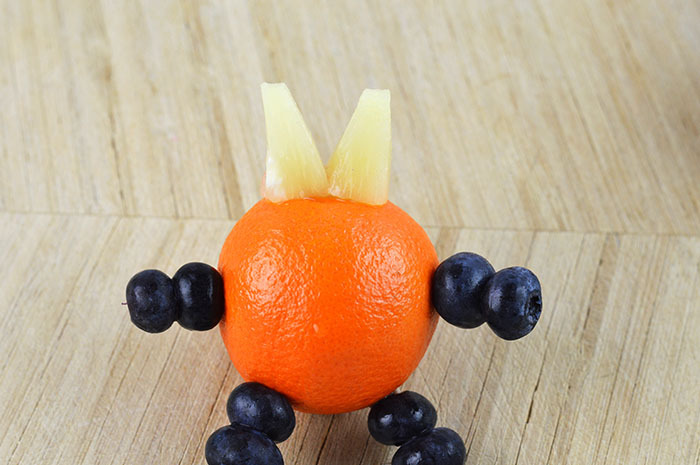 Make A Fruit Monster for School Lunches! I like to think outside the box. 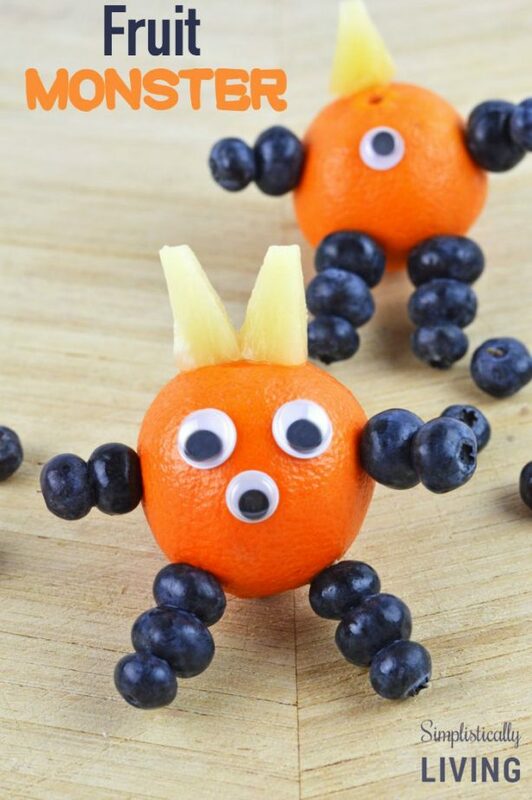 Being that lately my brain has been in “monster” mode (I’ve been making all sorts of Monster themed party stuff for my youngest son’s party next month) I decided I’d make a Fruit Monster that can serve as a party appetizer but also, a fun and delicious school lunch snack! These are truly so easy to make so I sure hope you will give them a try! 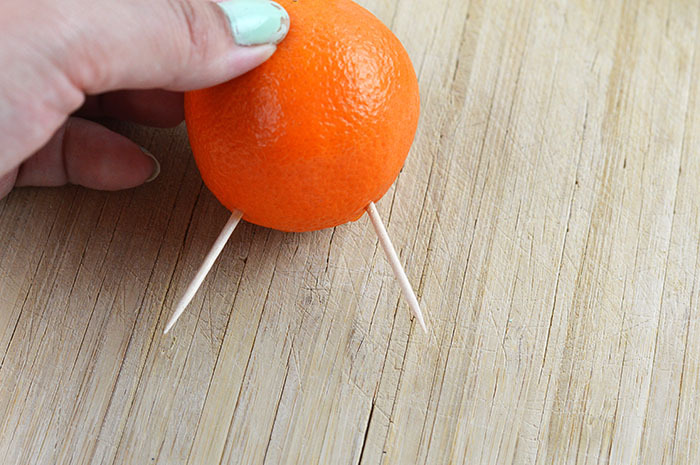 Place toothpicks into the orange towards the bottom half. These will be the legs. 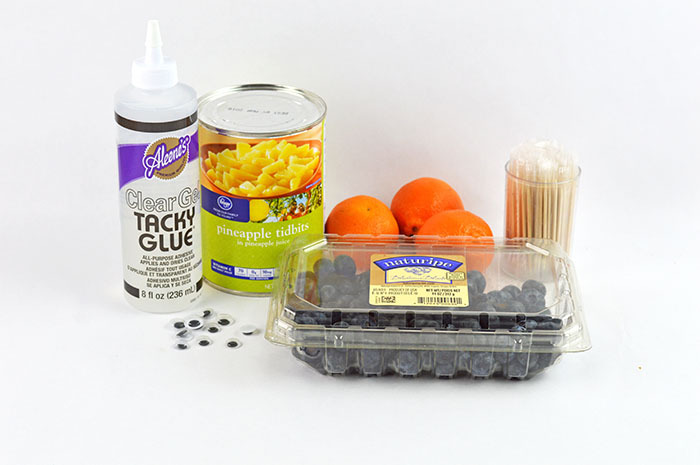 Add blueberries onto the toothpicks until the entire toothpick is covered. I ended up having 3 blueberries onto each stick. 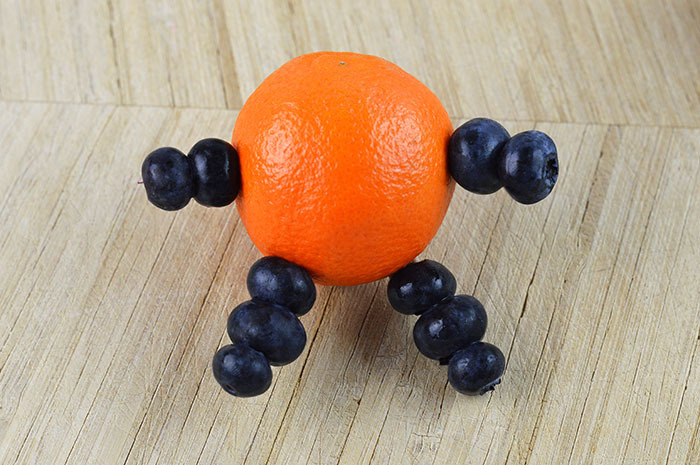 Add 1 toothpick to each side and add blueberries. These are the arms. 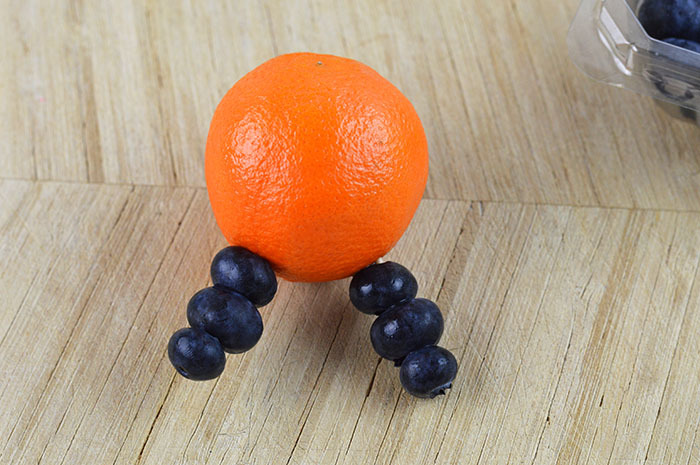 Break a toothpick in half and place each piece onto the top of the orange to create horns. You can also make the monster have 1 horn or several. You can make each monster different. Add the googly eyes using the glue. 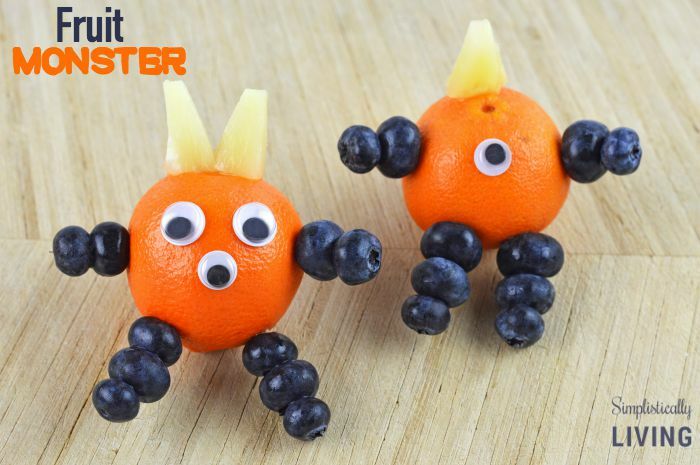 Since your child will peel the orange, you don’t need to worry about them eating the googly eyes, they will come off when peeled. However, if you are really worried they will eat them you can use the edible eye candies and “glue” them on with frosting or yogurt. Serve and enjoy! If you are making this for lunch, I suggest wrapping it in plastic wrap or storing in an airtight container in the fridge until ready for consumption. Looking for another kid-friendly recipe idea? 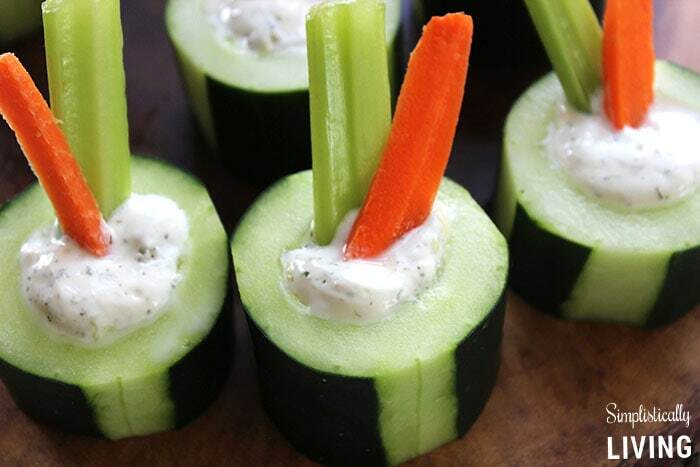 Check out this Cucumber Bites Snack!